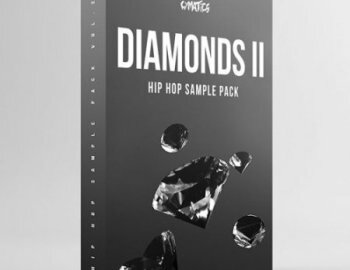 The first volume of “Diamonds” was one of our best selling Hip Hop sample packs ever. The response to that pack was overwhelmingly positive, and tons of producers have been asking us for more ever since. Not to mention, the Hip Hop scene is bigger and better than ever! So our production team took what we learned from the first Diamonds sample pack, and put in countless hours of studio time to develop a new and improved sequel that is even more high quality and diverse than its predecessor. They carefully studied the work of Hip Hop heavyweights like Travis Scott, Juice WRLD, Drake, Rich The Kid, and more...and even hired some new extremely talented producers to help out as well. The result is Diamonds ll - Hip Hop Sample Pack: A premium collection of over 400 Hip Hop samples & loops that every producer needs to have in their collection. The improved melody loops are perfect for inspiring ideas and can be dropped into your beat for an instantly professional sound. Not to mention, the drum one shots, full drum loops, and 808s are more powerful and more useable than ever.